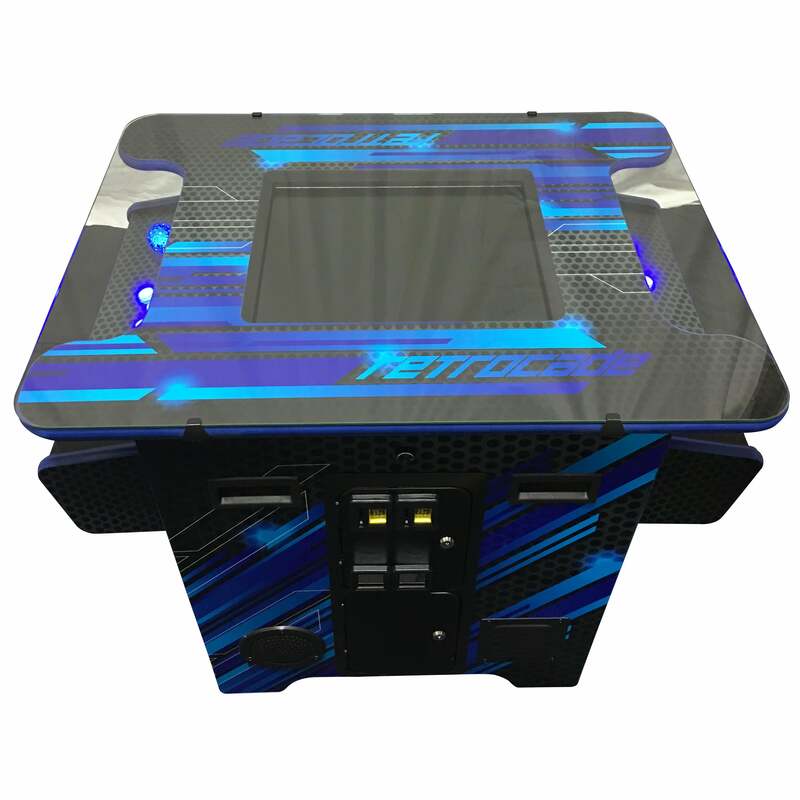 You and a worthy opponent can sit on either side of the Retrocade Arcade by Leisure Select and play the game of the century. 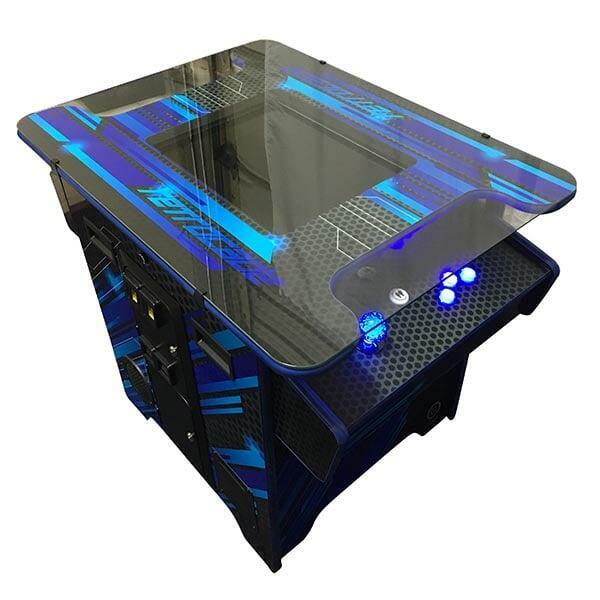 This classic cocktail table arcade game offers space for two players to face off for an afternoon of fun. Introduce your kids to all the games you enjoyed in your glory days, such as Millipede, Frogger, Donkey Kong, Galaxian, Space Invaders, Galaga, Tank Battalion, 1942, Xevious. The Retrocade features a high quality 19” LG Monitor for dazzling graphics. LED lighting illuminates joysticks, trackballs, and buttons on either side of the cabinet. 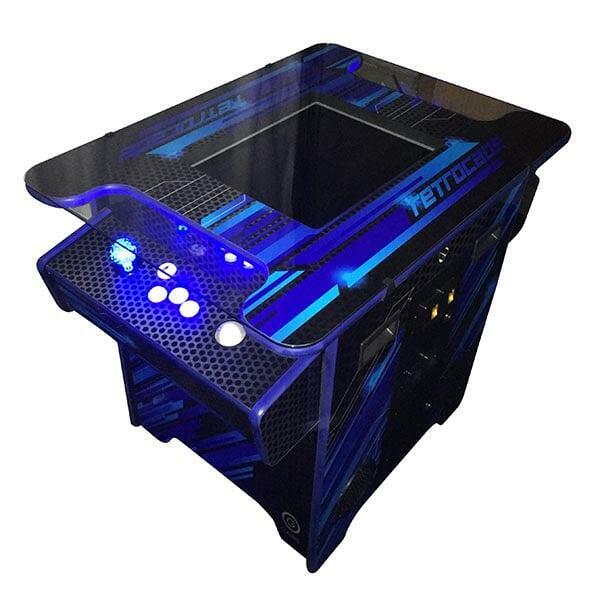 The Retrocade is covered with scratch resistant tempered glass and offers external volume control.